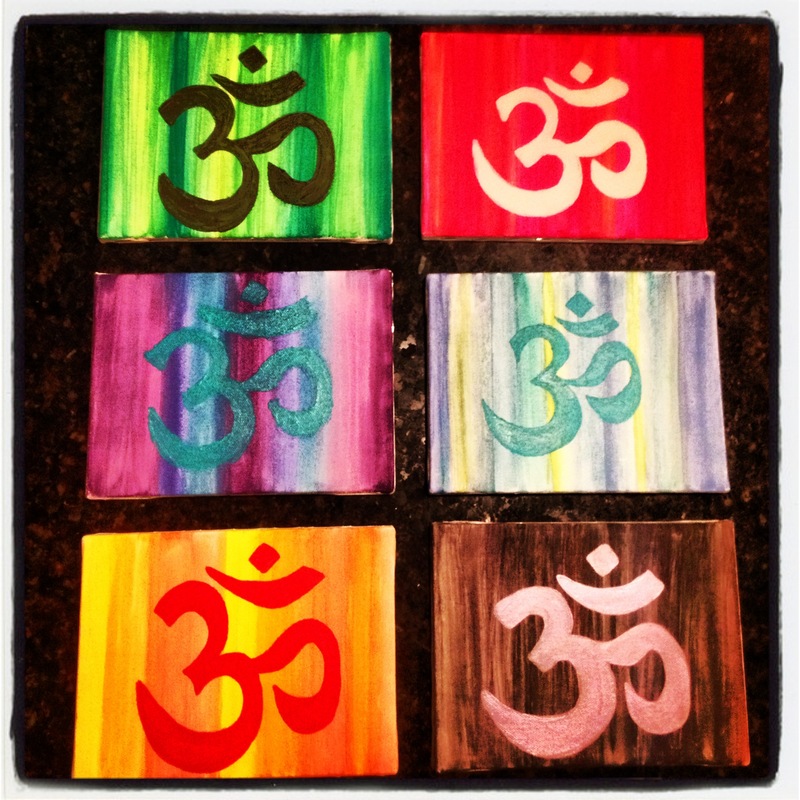 For Christmas I painted some pretty Om paintings for my Lifetime 281 Yoga instructors and they turned out great! I always forget what neat gifts small little canvas paintings can make. And while we are on the topic of painting… I’m here to report that Landri recently did some painting of her own. Sadly, her medium was diarrhea and her canvas was her crib (warning: Post is rated P for “Poop”). Yesterday she set a new record for Worst Poop Incident since birth by having massive, explosive diarrhea in her crib during her nap and then rolling around in it, and playing in it. It makes this post look like NOTHING: https://livinwiththelehnhoffs.com/2012/12/08/mom-badge/. Landri hadn’t been feeling well – she had slept 14 hours the night before and then snuggled with me and snoozed off and on all morning (she HATES snuggling). She just wasn’t herself. And later in the day after putting her down for a FOUR HOUR nap, I heard her start talking when she finally woke up and looked at the baby monitor. Instantly my heart stopped. I could see brown ALL OVER her crib. I knew it was diarrhea. Sure enough, I could smell it from the stairwell as I made my way up there to see how bad the damage really was. And yep, she was literally covered HEAD TO TOE in diarrhea. Did I mention that she was covered from head to toe in diarrhea? Seriously, every inch of her. Head to toe. Like I have never seen before. What I found in her crib was so much worse than the picture on the monitor. And it was all over the entire crib as she had rolled all around in it. It was even up all four sides of the crib bumpers and had soaked through the fabric into the bumper pillows. It was on all her blankets, her dolls/toys/paci’s in the crib. There were a few huge piles of it and she was playing with it with her fingers. I know she ate some because she was sucking on paci’s and they were all covered in poop. I literally didn’t even know what to do. I’m only a few days away from being “full term” pregnant, and Scott wasn’t coming home until like 10 last night so I needed to get her and the bed cleaned up alone since he wasn’t going to be home before her bedtime. I seriously would have cut her clothes off her with scissors but I couldn’t leave her to go get them once I picked her up and diarrhea was literally dripping off of her all over the floor. And of course, I ended up covered in poop too obviously. I ran out of wipes. And I got more poop everywhere in the process. The changing table. The wall. The floors. The carpet. I finally got her a bath. I scrubbed her like CRAZY from head to toe about 10 times. Then I somehow managed to get all of the crib stuff into the wash. There was so much and it was all SO dirty that I had to break it into four different loads and each load got the super duper heavy max extract, extra rinse, etc cycle that lasts 99 min – which I then did TWICE for each load (I am actually still finishing some of the loads)… I had to sanitize all of her paci’s of course… ugh… just a total complete disaster. And lucky for me, she still slept through the night – 12 hours straight last night. Today she is 100% back to her normal self, crazy and wild and won’t snuggle at all so I know she is better. And for the record, I think Landri is a bad artist. HAHAHAHA!!!! Next Post Landri’s 1st Rodeo! Wow! We all have our baby diarrhea stories, but I think that one wins the gold medal!